When you have Device Manager open and it does not do a refresh when you plug-in your phone, then it is possible your USB cable is charge-only and not data-capable. You need to change to a different USB cable. With your phone connected, there should be a USB notification on the phone side. Open it and you should see two or more USB options (such as Mass Storage, Media Device, Camera (PTP), Charge Only etc.). Try to select each (start with Camera/PTP/Picures/Transfer Images) see if any one of them triggers the "ADB Interface" driver on the computer side. 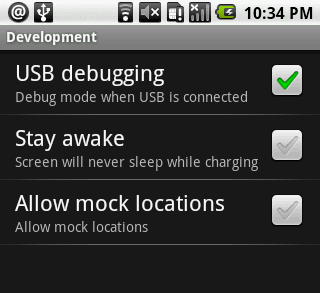 For example some Samsung phones or LG phones will require you to select "Camera (PTP)" for USB debugging to work. With your phone connected, power off the phone and power back on. See if the computer side installs the ADB driver. If USB connection does work for you before but is no longer recognized on the same computer, try to power off your computer and power back on and see if it helps. After installing the OEM driver plugin your phone and make sure the ADB Interface driver is installed this time. After that you can reinstall PdaNet and select "No" when it prompts you to reinstall the USB Driver.